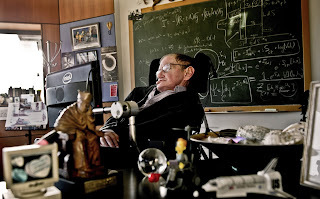 So what do we make of Dr Hawking's life, and how would posterity wish to remember him. Do we remember him as the scientist who explained black holes, and as a cosmologist who attempted to decipher the mysterious roll of cosmic dice that Einstein vehemently argued against till the very end? Do we remember him as a man, who developed a terrible, crippling, life threatening illness at the age of 22 and went to live for 50 odd years against all medical predictions and prophesies? Or do we remember him as one of the greatest theoretical scientists to ever lay hands on the grand problem of why and how this Universe exists and behaves? Again, Do we remember him for his extraordinary personal life with two marriages ,three children and enough fun and frolic, all the while sitting upon a well equipped wheel chair, floating in anti gravity for fun, or ballooning up in the sky ? Or do we remember him as an author of that enigmatic and profound book “ The brief history of time" within whose pages he wrote with sparkling clarity on the nature of time and space in a language understood and appreciated by millions? Or do we simply remember him as professor whose classes were jam packed each time he wheeled in to speak in a computer synchronized voice, with a smile on a face and a joke on his lips? Perhaps, it is all of these memories and much more. The raw details of Hawking’s extraordinary life is available through many sources. I wouldn’t wish to belabor that aspect. I would rather reflect on how his life affected and inspired mine. In it, my readers may find resonance. 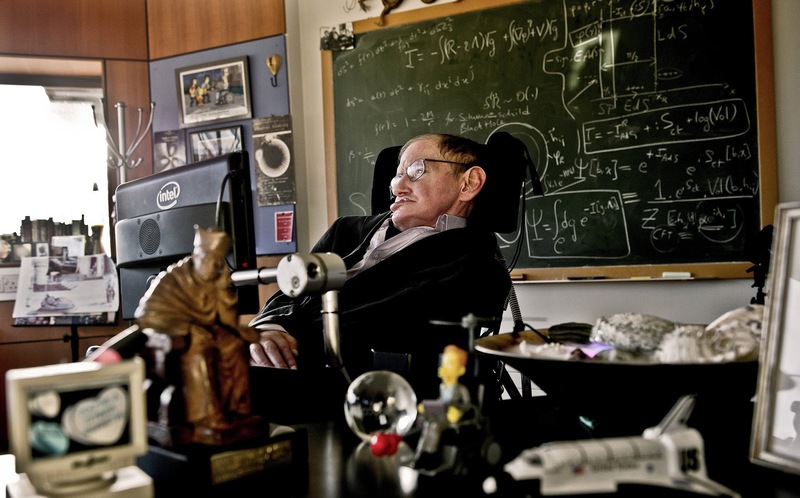 The important quality of Hawking’s life for me has been his capacity to defy the odds of medical science. ALS is sure death; doctors do not give more than ten years from the date of its onset. If numbers are anything to go by, and if Hawking had succumbed to its fearful lure; he wouldn’t have survived the ordeal. However, from some deep recesses of his being, he found courage not to allow his physical well being to be circumscribed and dictated by the disease. Like his fellow scientist in another field, Stephen Jay Gould, an evolutionary biologist, Hawking understood that human fatality numbers and age are only good as indicators; never a firm basis for reality. With all the medical aid he could get, Hawking was committed to remaining alive, not merely to fulfill the throbbing genius of his science, but to enjoy the pleasures of existence despite all the limitations imposed on him. Except for his mind, which was is in full flow, he was incapable of any physical act. He needed help, and he was never shy of demanding it , to the point of exasperating people around him. The haunting image of Hawking on a wheel chair, clothed in a suit, shriveled and loose limbed, with a perpetual grimace on his face ( caused more by the disease than anything else), staring with absent minded, vacant eyes into space - inspires me each time I remember him. For all those out there, who believe that life with pain is hopeless, his life stands as outstanding example. For all those who believe that Life has been unkind to them, the image of Dr Hawking should be the wake up call. For all those youngsters, who believe in excuses, Hawking's life will show how not to give one, and how to rise above circumstances no matter what. His Book “the brief history of time” was written when he had virtually lost all control over speech and movement. He wrote it because he wanted money to support his children. The book made him famous, and his ideas became household name . My hair stands on its end, when I try to imagine how he could have written this volume. I shudder to think how difficult it would have been for this genius caught in this debilitating body to write with the aid of a computerized alphabet board ( generously supported by software maverick Walter wolosz) which would allow him to form each word letter by letter by pointing an infrared ray on a screen filled with English alphabet and around 2500 common words. The 250 page book overflows with scientific insights and deep human wisdom. It was act of supreme physical and mental effort. His goal ( apart from the money) was to make the esoteric branch of astrophysics intelligible to common educated man. The task wasn't easy. The book is tough reading in its initial chapters, but once, we get through those , a pattern emerges and we begin to understand and appreciate the profundity of the mind at work. Along with Carl Sagan’s “Cosmos”, Charles Darwins “ origin of species” and Stephen Jay Gould’s “Mismeasure of man”, Hawking’s book occupies a prime spot in my library to be dipped into over and over again. Hawking’s view of God has always fascinated me. He was a firm advocate of intelligent design without the need for divine creator. For a crippled man, who could have done with some free mercy, he never acknowledged the need for God either in his private life or for his scientific postulates. His boldest theories were about the place of God in an universe. He was not an atheist , but an agnostic bordering on disbelief. Hawking writes that God may be there, but he is not necessary to explain the laws of this universe. Throughout his active scientific life, he wished to propound a theory of everything without the need for extraneous intelligence, an enterprise which fascinated and perplexed Einstein too. Like Einstein, Hawking died working on it. Somewhere, in the deep immensity and rigor of his thinking, he was convinced that God - as being out there in the universe - watching over creation, is a redundant idea, and not particularly useful in explaining the laws of this enormous and expanding universe. These laws reveal themselves to reasoning , when right questions are asked and unbiased answers are accepted. Dr Hawking never won a Nobel prize for his work. It didn’t bother him. He was pragmatic enough to understand his theories cannot be proved by observation - which is one of the critical requirements for any scientific achievement to be considered for Nobel award. Even powerful telescopes cannot peer into black holes. For a man, whose thoughts roamed the realms of infinity, awards and recognition did not matter. What remained with him was the firm intuition on having arrived at a sublime truth, beyond the ken of observation and objective verification. He was busy articulating and evangelizing his intuition. That was enough for him, more satisfying than anything else.